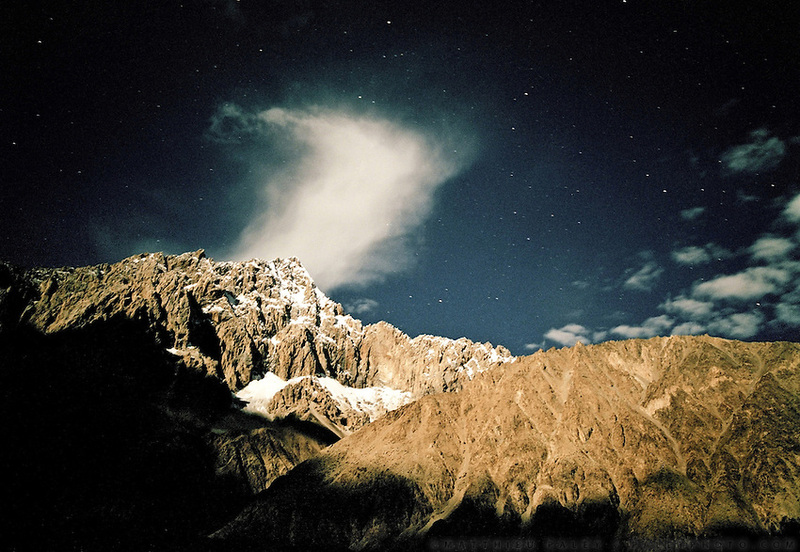 Sleeping out under the star, at the border between China and Pakistan. Pakistan..Trekking through remote Karakoram, in the Shimshal, Braldu and Shaksgam valley, finding human remains in unexplored caves hinting to the existence of an ancient trading route between Baltistan and China. Summiting unclimbed 6000m peak. Northen Pakistan, on the border with China (Xinjiang).